TOMORROW, FRIDAY, DECEMBER 9, 2016 at 10 a.m.
December 8, 2016 – Orlando, FL – TIME Magazine’s #1 Show of the Year, Matilda The Musical, is coming to Orlando as part of the FAIRWINDS Broadway in Orlando Series. Produced by the Royal Shakespeare Company and the Dodgers, the first national tour of Matilda The Musical comes to Dr. Phillips Center for the Performing Arts May 9 – 14, 2017. Tickets are on sale to the general public tomorrow, Friday, December 9, 2016 at 10 a.m. Tickets start at $33.75 and may be purchased online at drphillipscenter.org, by calling 844.513.2014 or by visiting the Dr. Phillips Center Box Office at 445 S. Magnolia Avenue, Orlando, FL 32801 between 10 a.m. and 4 p.m. Monday through Friday, or 12 p.m. and 4 p.m. Saturday. Online and phone ticket purchases are subject to handling fees. Winner of 70 international awards including 4 Tony® Awards and a record-breaking seven Olivier® Awards including Best Musical, Matilda The Musical is based on the beloved novel by best-selling author Roald Dahl (“Charlie and the Chocolate Factory,” “Fantastic Mr. Fox”). It is the story of an extraordinary girl who dreams of a better life. Armed with a vivid imagination and a sharp mind, Matilda dares to take a stand and change her destiny. 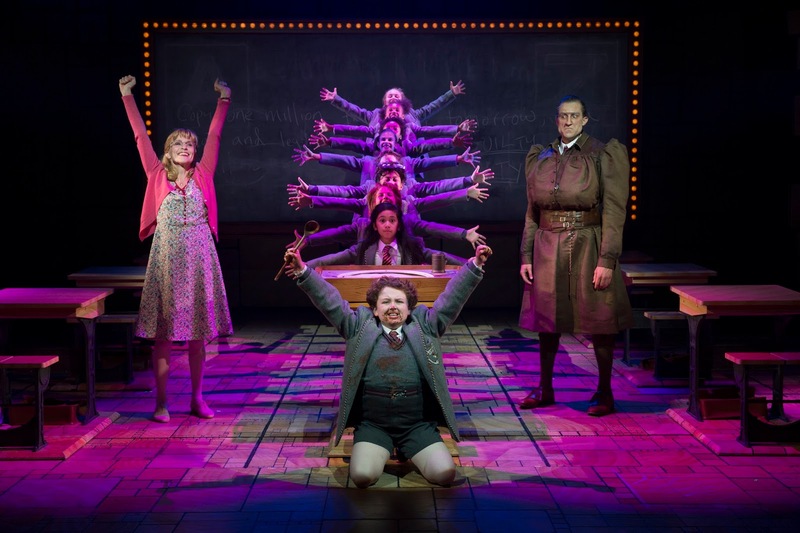 Matilda The Musical is directed by Tony® Award-winner Matthew Warchus (God of Carnage), who helms the production with a book by Tony® Award-winning playwright Dennis Kelly and music and lyrics by Australian comedian, musician and composer Tim Minchin. The production has sets and costumes by Tony® Award-winner Rob Howell, with choreography by Peter Darlin, orchestrations, additional music and musical supervision by Christopher Nightingale, lighting by Tony® Award-winner Hugh Vanstone and sound by Simon Baker. The Dodgers (Producer). Dodger Properties is a producing partnership hatched at BAM in 1978 by six friends: Michael David, Edward Strong, Rocco Landesman, Des McAnuff, Doug Johnson and Sherman Warner. From the initial foothold in Brooklyn, the Dodger family grew, migrated to the NY Shakespeare Festival, then to off and on Broadway, where their productions have garnered a host of national (Tony®, Drama Critics Circle, Obie) and international (Olivier, Helpmann and Dora) awards. Current Broadway: Matilda, Jersey Boys. Other Broadway: 42nd Street, Urinetown, The Farnsworth Invention, Dracula, Jesus Christ Superstar, Into the Woods (’87 and ’02), The Music Man, Titanic, Wrong Mountain, Footloose, Mandy Patinkin, High Society, 1776, …Forum, The King and I, The Who’s Tommy, Ralph Fiennes’ Hamlet, Guys and Dolls, Once Upon a Mattress, How to Succeed..., Jelly’s Last Jam, The Secret Garden, Prelude to a Kiss, The Gospel at Colonus, Big River, Pump Boys and Dinettes. In addition to Matilda and Jersey Boys on Broadway, the Dodgers are producers of current Jersey Boys productions in London, Las Vegas and touring productions in North America and the United Kingdom.